Sustainablebabyish Snapless-Multi: A Review & Giveaway!! There are very few WAHMs that crank out the number of successful products as Erin of Sustainablebabyish. Each of her bamboo and wool cloth diaper items performs at the highest level and is made with the highest quality materials. This year Erin partnered with Trees for the Future to offset the carbon generated in the production and care of every sustainablebabyish organic cloth diaper. When you purchase a sustainablebabyish cloth diaper, a tree is planted in Southeast Asia. We know choosing cloth diapers keeps disposables out of landfills. Now, our choice to use sustainablebabyish cloth diapers also reduces greenhouse gases and helps reforest the planet. I love that Erin isn’t just out to make a buck (nothing wrong with that, we all have to eat!) but she’s truly trying to leave the world a better place in her lifetime. But, I didn’t let that stop me. I contacted Erin and asked her a few questions. Top on my mind was how wide the crotch was on the Snapless-Multi. The narrowness of the BSRB nighttime crotch area is the major reason I do not like that diaper. She quickly got back to me with a measurement wider than I assumed (yeah!). The Snapless-Multi has a crotch width of 5 1/2″-6″ depending on where/if the fitted is folded. So I told her to send me one so I could put it to the test. Once it arrived, I opened the box to see a PIN! *insert Psycho music here* I fear the pin. In defense of the pin, it is a nifty thing with it’s retractable cap but it’s a PIN! I know, I’m being a bit melodramatic here. If I can drive a big, honkin (the Texan word for massive) Suburban surely I can work a pin through fabric without causing blood to pour from my precious son’s abdomen…hehe I’m making myself laugh and getting sidetracked. Surprisingly, it wasn’t too bad. With a little practice I could maybe have gotten a tight fit. Other than my poor pinning job, the Snapless Multi has a fantastic fit. It is a tad bulky, but that may be because I added an extra (comes w/ 2) doubler for nighttime and folded down the top about an inch. The subsequent times I used the Sbish Snapless-Multi I used a snappi. The snappi works great and I was happy. Now to performance. I have only used the Snapless-Multi at night. Every time Sterling has worn this diaper to bed the next morning (12hrs later) it is dry-damp on the outside. Since this is a fitted cloth diaper it does need a cover. I usually use a thirsties or Imse Vimse cover, but also use an sbish soaker (see picture below). A size small thirsties fits okay but just barely. Imse Vimse runs huge so no problem there! I have nothing negative to say about the Sustainablebabyish Snapless-Multi cloth diaper. Especially not about the price! At only $18 you could easily create an inexpensive, high quality stash. Please visit Sustainablebabyish anytime by clicking on the banner in the top right corner of the blog. GIVEAWAY!! Sustainablebabyish would like to giveaway 3 Snapless-Multi cloth diapers! 2 winners will be chosen on Thursday July 9th @ 1pm cst. The first winner will receive a 2pack and the second will win a single Snapless-Multi! 1) Visit www.sloomb.com, find your favorite thing (color, product, mission…) about it, then come back here and tell me about it in a comment. 2) Subscribe to All About Cloth Diapers and receive blog updates in your email box. and I will be updating my comments as I had to count each one! Ugh! Kristin and Lacey, I will forward your email addresses to Erin and she will contact you! Sterling’s length: 27 1/2″ either ya’ll have some giants or we all quickly forget how long a 4 month old is lol! I love the teal dipe! So pretty! I like the Sprout Bamboo Fitteds. love the karate pants! am also a subscriber to your blog. My youngest son just turned 4 months on Feb 26th and at his last checkuo he was 64 cm so I will guess the same for Sterling. 64 cm = 25.2 inches. I am now part of your fanclub on FB. I adore the SB organic bamboo fitted. I own 1 sprout for my youngest son and just LOVE it!! I’m going to guess 27 3/4 in. I love the Organic Bamboo fitteds–the Kirsche is very pretty! I subscribe & would LOVE to win a Sustainablebabyish!!! I posted about the giveaway on my page. Sterling lloks to be about 28 1/4 inches long! And he is SOOOOO cute! Ooh… the soakers are sooo CUTE!! We are allergic to wool, so I can’t use them, but they are great!! My guess on Sterling’s height is 25.25 inches. I became a fan of All About Cloth Diapers on Facebook (didn’t even know there was a site). I already subscribe to All About Cloth Diapers (and love it). My fav thing on http://www.sloomb.com is the bright colored fitted diapers. I just became a fan of Facebook! I’m already subscribed to the blog. I love the wool pants! I’m expecting baby #4 just before Halloween, so even though I would love a pair in blue for my 14 month old toddler, I’m especially drawn to the squash color because, goodness knows, the baby is going to have so many hand me downs that 1 nice new splurge would be really special! I love the variety that she gives. I love th e option of wool covers instead of synthetic covers. The karate pants are too cute! Hi-ya! I like all the different colors available! I think my fav is the squash! I’ll guess 26 3/4 inches @ 4 months. I love the lounge pants, so cute!! on Sloomb.com I love the colors of the bamboo fleece fitteds! I’m guessing Sterling is about 28 inches. I love sbish’s cute colors! I love putting Kate in colorful cloth diapers and covers – just another way to dress up and accessorize your baby! I subscribe! And love it! My son just turned 4 months old on Thursday. Your son looks tall, I guess that he is 29 in. long. I visited Sloomb.com. I like the blossom colored wool cover. I’m already a fan! I am a subscriber!!! And I’m going to guess that sterling has gotten bigger and is at 28 inches. I haven’t been to the sloomb website in a bit but I will say that I love our light pink fitted! We only have one and its usualyy the first I grab for! (And I follow sloomb on twitter…however I have no clue how to do the retweet thingy…lol). What a great idea to plant a tree for each diaper!!!! and I think Sterling is just about 27 inches long. He looks tall! My favorite thing…hmmm…things in no particular order, the sprout color on the fitted diapers, the veggie shoes, Ad Bag (great idea), and, of course, the one diaper one tree! I am going to guess that Sterling is 28 1/2 inches long. 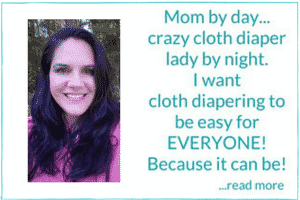 I’m also a fan of “All about cloth diapers” on facebook! I love the bamboo fitted diapers, especially in Sprout. Tweeted it and follow you now. Hmm.. your little guy is… lets say close to 30″. I like the Organic Natural Fitted Bamboo Fleece Diapers. These look like they’d be great to try out on the new baby! I also love love love the karate pants by sustainable babyish. I am guessing the tall little guy is 27 3/4 inches long. Super boy!! Love the organic velour bamboo flats! Look sooo comfy! And some of the colors of the oc flats are very yummy! WOW! I am amazed how bright and beautiful her colors are. I am seriously thinking about purchasing one of her wool covers in squash. Once autumn comes, I will definitely buy some of those scrumptious looking pair of wool pants. I am definitely interested in trying the one-size diaper she now has available especially since my daughter is between med and large. I definitely need a new nightime diaper since I am completely “over” the pocket stinkies!! 27 1/2 inches?? I hope I win… I would so love to try one of these!! Love the organic bamboo fleece fitted – in teal!!! Ooo….I like those cute little shoes! They look so comfy compared to most baby shoes…may have to give them a try. I Love, Love, Love the wool karate pants…I’ve longed for some for quite a while…..the colors are amazing and they look so soft and comfy…. My favorite thing is the one diaper one tree but as far as a product goes I love the karate pants, I’d love to get some with my next little one. I’m guessing that Sterling is 28 1/4 inches long, at least he looks long, I wanna see him in some baby legs! Following you on Twitter and tweeted about the giveaway! I posted on Facebook about it! He looks tall, my little guy will be five months on the 19th … he is 26 inches … so that is my guess! I added your button on my blog! i love the karate pants. I love the wool karate shorts and pants! The bold colors are great! I already subscribe for email updates! I guess he’s 27.5 inches! I LOVE her wool shorties! I love the stretch wool cover in blossom!! Wish I could afford one of them!! I’ll guess Sterling is 25.5 inches. I’m guessing that Steriling is 25 inches. He looks tall like my little one. My faves are the organic colored fitteds with snaps. I’m with you- I hate pins and snappies. I would guess that he’s 27 inches? I like the Brown Wool Karate Pants. My favorite product would have to be the karate pants. They look soo comfy and a perfect fit. I will definitely have to try some of these. I’m going to guess Sterling is 26 inches. He seems long and skinny like my little man. I love your Emails!!! Have been on your mailing list for a few months now! I LOVE the black karate pants. I think black looks so cute on babies, but it is hard to find. Sterling is 27 inches long? I posted about the giveaway on my own facebook as well. I became a fan of all about cloth diapers on facebook. Should I leave a comment over there too? My daughter will be 4 months on the 12th! But your son looks so tall! So I am going to guess your Sterling is: 29 inches! My tater tot is 25….but she is short and round! I saw sustainable babyish products on Diaperswappers.com, but had no idea they were wool, they look sooo soft! I looked on http://www.sloomb.com and I LOVE the karate wool pants! Such a great shape and pretty colors! I subscribe to the blog via email, and also rss feeds. I love sustainablebabyish organic stretch wool cover in teal or squash. I cannot pick a favorite. It is as close to Chicago BEars colors as I can get! I also love the thought of wool covers for overnight, nothing else is as dependable! I just became a facebook fan and posted about the giveaway on my page! i love the teal karate pants! sbish has the most beautiful colors! I love all of the colors and the fitteds look sooo comfy! Would love to try them! I’m following on twitter and already subscribe. And I’m going to guess that Sterling is 25.5 inches long. I’ll take a guess and say your little Sterling is 27″?? I tried to twitter, joined facebook, and am already a subscriber. I love the karate pants at sloomb as well as the double layer covers. We prefer the black pants/shorts since I have a rough and tumble 20 month old boy! I love that hot pink…so my favorite diaper is the organic bamboo fleece fitteds – KIRSCHE. I just became a fan on Facebook as well! I love the blossom wool cover. Looks so soft. The karate pants look awesome too! I have read that sweet Sterling has a long rise in previous posts so, I’m guessing that he is maybe 26 1/2 inches long? I posted about this giveaway on both of our walls on Facebook! I love that for every diaper purchased a tree is planted – VERY COOL!! My guess is that Sterling is 24 1/2 inches – he’s such a cutie!! I love the organic stretch karate pants! The organic bamboo fleece fitteds look wonderful! The colors are so pretty, too! My favorite thing on their site is the “one diaper-one tree” partnership they’ve established. What a great idea! RE: their products, I just love all the bright colors of their diapers! I love that they are pin or snappi friendly. I love the fitted in the kirsche color- so bright and beautiful! Sterling is 27 inches long. I have one of these dipes on the way to try, along w/a pair of the karate shorts, but I would love to try the bamboo fleece fitted in kirsche, so pretty! 1) i really like the look of those fitteds. i love the green color..i really should buy some! I covet the SBish stretch wool karate pants in Squash. I love that they have big flats and wool pants with pockets! Became a facebook fan and let everyone on facebook know about it! I love organic bamboo fleece fitteds in teal. I’ve also always wanted a soaker, so cute! But I like these because they are so much more adjustable then snaps and aplix. Thank you for this generous giveaway. I’ve already subscribed to the blog! I’m now a fan on facebook. I love the look/fit of the Sbabyish Squash and Brown Wool Karate Pants and the squishy bamboo fleece fitteds and the snapless-multis look super soft and squishy too. I’m guessing Sterling is about 26″. He does look like a long boy. My littlest DS is just over four months old. Congrats!!! My guess is Sterling is 29.5 inches – he looks so long in your photos! My own son is just 6 months old and I am trying to remember how long he was at 4 months. I will guess that Sterling is 25.5″ long. I love the Organic Bamboo fitteds – I want to try one so bad for my heavy nighttime wetter. And since I do not have a blog! I will make a gues son Sterling’s length… I’d say he looks pretty long so 29 1/4 inches ! I love the wool covers… I am planning on purchasing a couple this week… The colors are beautiful… Maybe I should get a few diapers as well! I love the karate pants in black. AND I love love love the one diaper one tree idea! Now following on Twitter, and tweeted the news. My favorite thing about sloomb.com is the planting trees deal. What an awesome idea. I would also love to have the $$ to buy some of the obf fitteds, those colors are gorgeous. I just posted to my FB about the giveaway! Everyone already thinks I’m crazy, what with babywearing and CD’ing. Maybe now they will be curious! 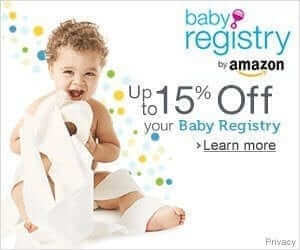 i loved reading their philosophy–that the diapers are made in the USA by women paid fair wages, and that they’re so well made you can pass them along to other families when your little outgrows it. she’s not just talkin’ the talk. I’m so :drif: over her karate pants; love the graphite and the teal, and the lila of course!! I am now a FB fan! :-D I had no idea you were on there. My favourite is the Karate Pants in Squash. We are huge orange fans around here! I am guessing Sterling is 25 3/4 inches. He looks looong!! I love the bright colors of the fitteds! So colorful! They would look awesome on my daughter’s bum! I love the one diaper, one tree thing! I’m also in love with the hot pink diaper–gotta try it! I love the Karate pants in Lila. That color is unusual, gorgeous, and the pants are adorable! I LOVE the name Sterling. it was on my semi-short list, and by that i mean the ten name one, not the twenty. I am going to guess that he’s 29 inches long. i have become a FB fan of all about cloth diapers. sandra f.
i heart their wool covers. specifically the pretty teal one.